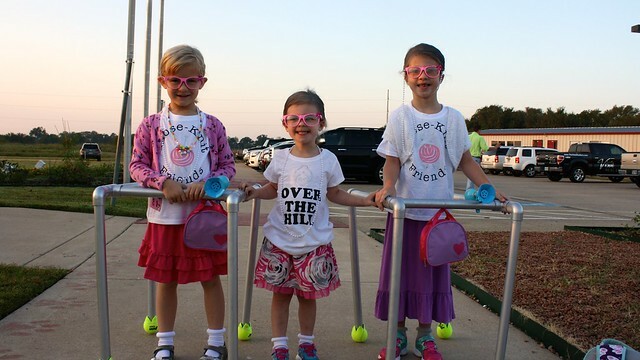 We had our last home game on Friday so the girls had a dress up day at school. We went all out since it would be the last theme dress up day. Who am I kidding though, I would have gone all out anyway. We had SO much fun with this one! 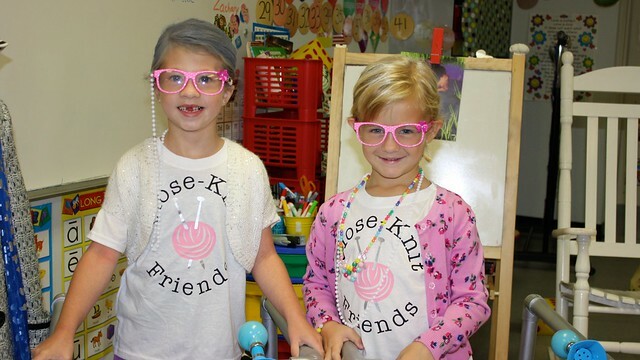 Ella and her sweet friend Reagan from class went as matching old lady close-knit friends. 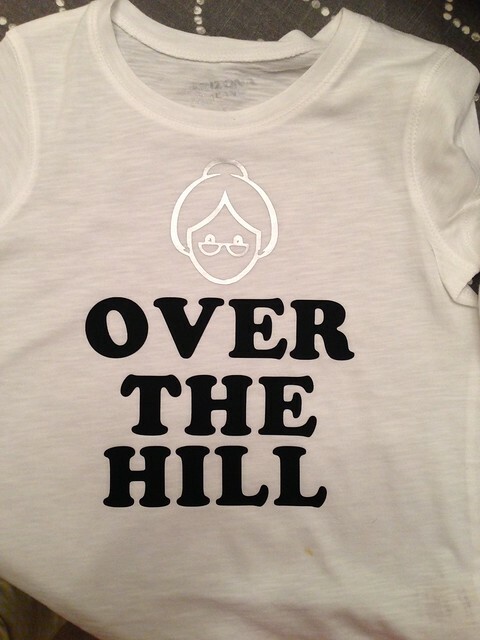 Reagan's mom and I did some planning on this one, I made the shirts and she made the walkers. It was hysterical! 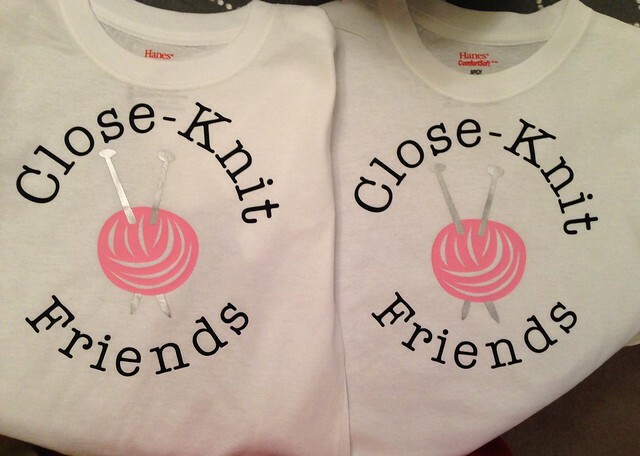 I was cracking myself up over the shirts. I made Ella and Reagan's say Close-Knit Friends and McKenna was OVER THE HILL. The walkers have the best back story. Callie went to Home Depot with a picture from Pinterest of the walkers. The lady was so helpful and took her all around the store showing her all the things she needed to make them. She then told Callie to just come to the break room and she would help her make them. She helped Callie make both walkers and then told her it would be no charge because Home Depot would donate them! What?! How crazy nice is that?! I couldn't believe it. So so sweet. 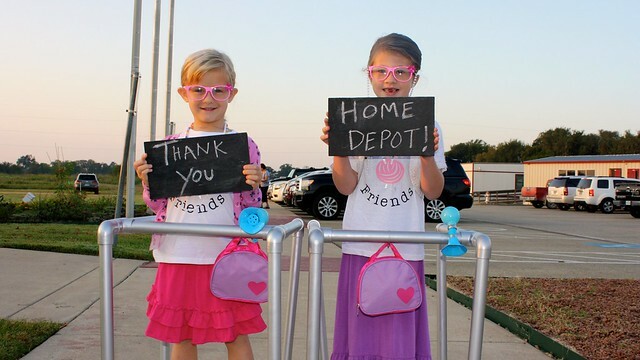 We took a picture of the girls holding up a Thank You Home Depot sign so Callie could give it to them. 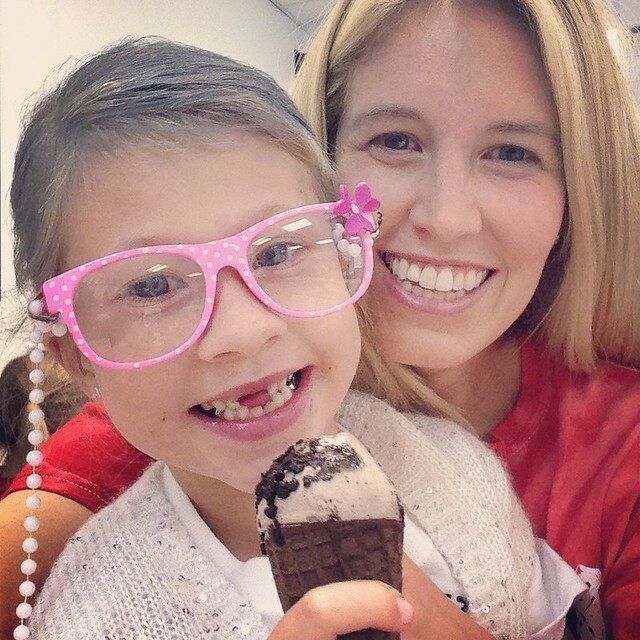 The girls walked in the classroom together and the kids loved it! Everyone was cracking up and wanted to touch the walkers and honk their horns. McKenna sprinted into her class so excited to show off her gray hair. It was my favorite theme day by far. 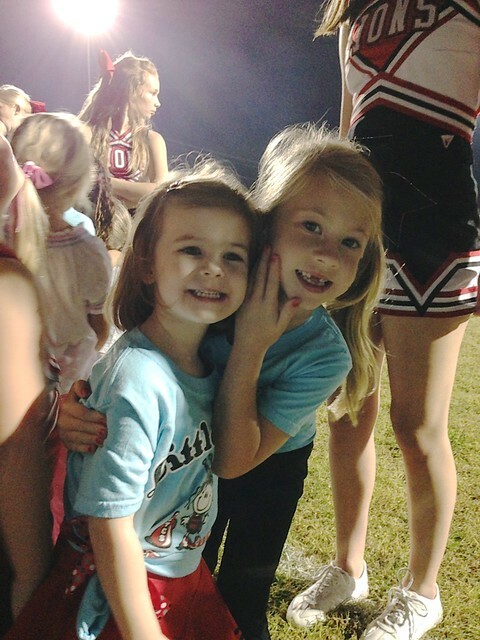 The washed out their gray hair before the game that night and went from senior citizens to little cheerleaders. The girls had done a cheer clinic last weekend and got to preform at the pep rally and then again during halftime at the game that night. They did a dance and then a couple of cheers. I have to share with you a little video of McKenna doing her cheer. It just melts me. She is so tiny and confident. so cute!! Love their outfits for senior day! I could watch that video of Kenna over and over! So so precious!